You’ve built a network of franchises with successful opening days. Now it’s time to ensure that they are set up for long-term success. 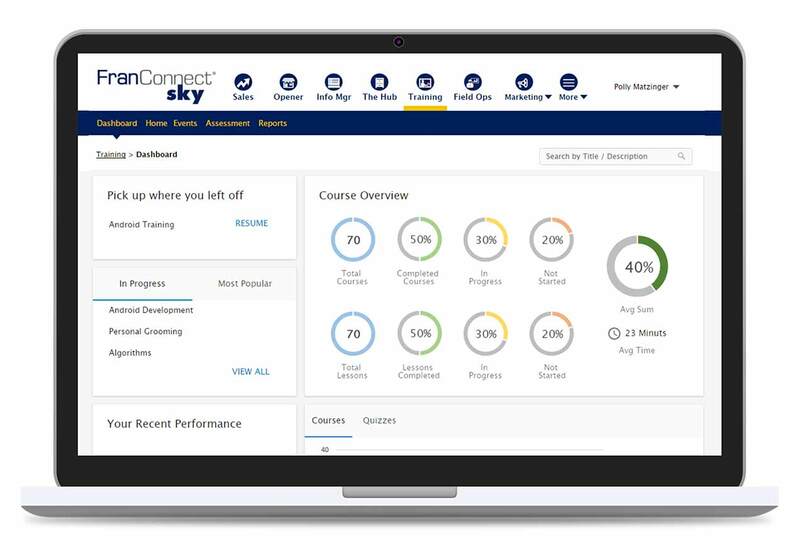 It’s imperative that your training program imparts upon the franchisee the meaning, mission, and vision of your brand, as well as teach them every operational detail they need to continue your brand legacy. 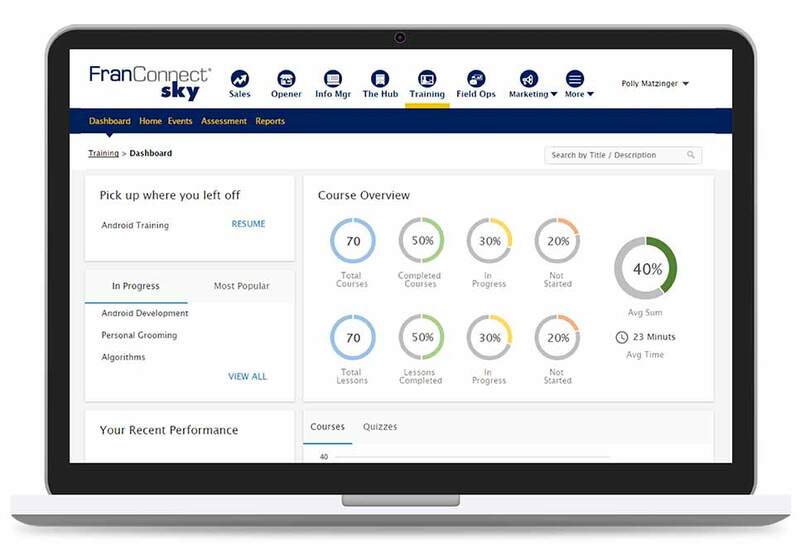 FranConnect Sky Training helps you harness your unique institutional knowledge and organize it for sharing across your franchise system.